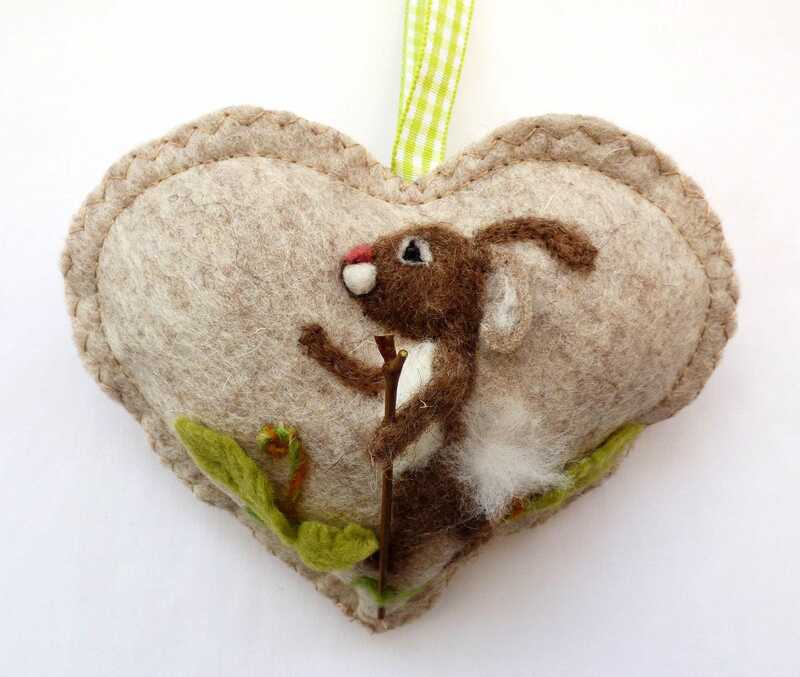 This felted heart has a Rabbit strolling through the countryside or up a mountain! 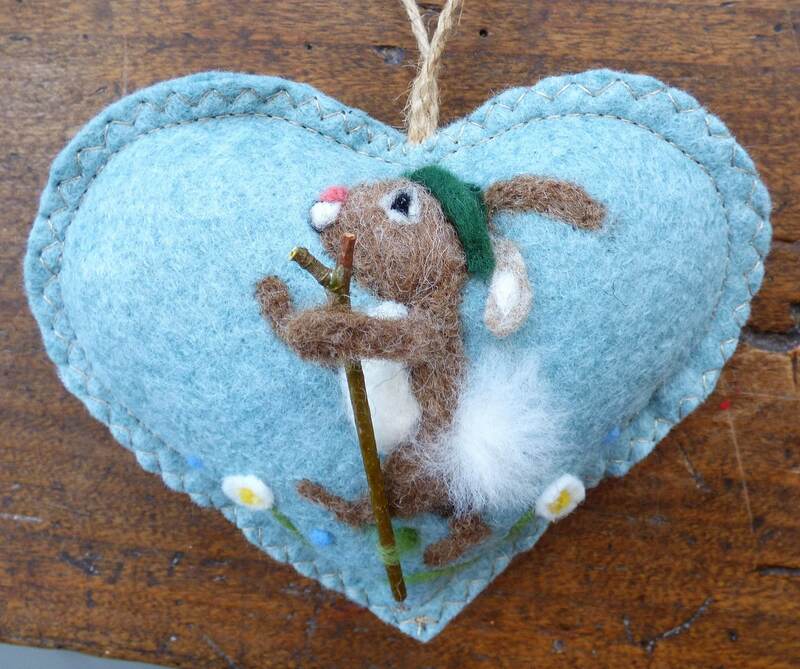 He is holding a wooden walking staff and can be wearing an Alpine hat or any other hat if you wish. 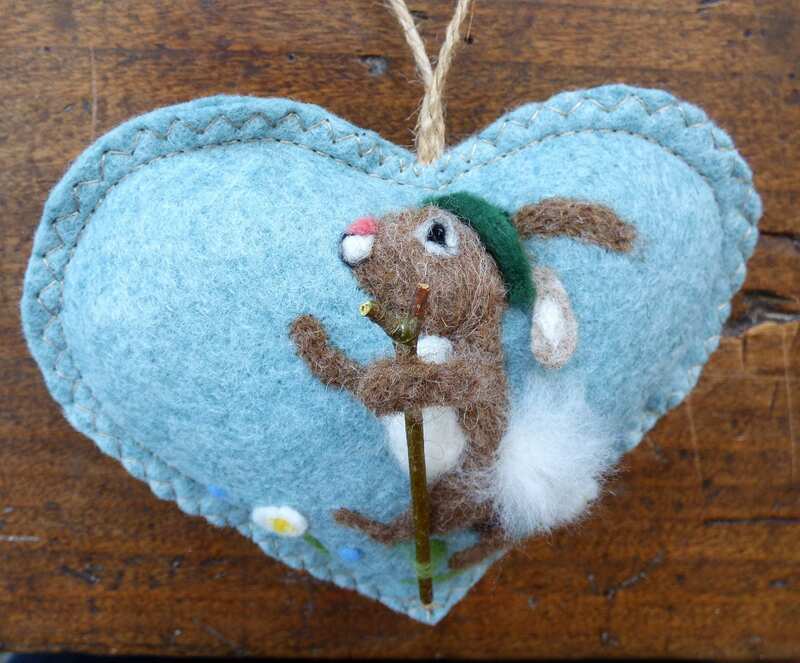 This Hand needle felted rabbit design is made from 100% pure wool in my Somerset studio. 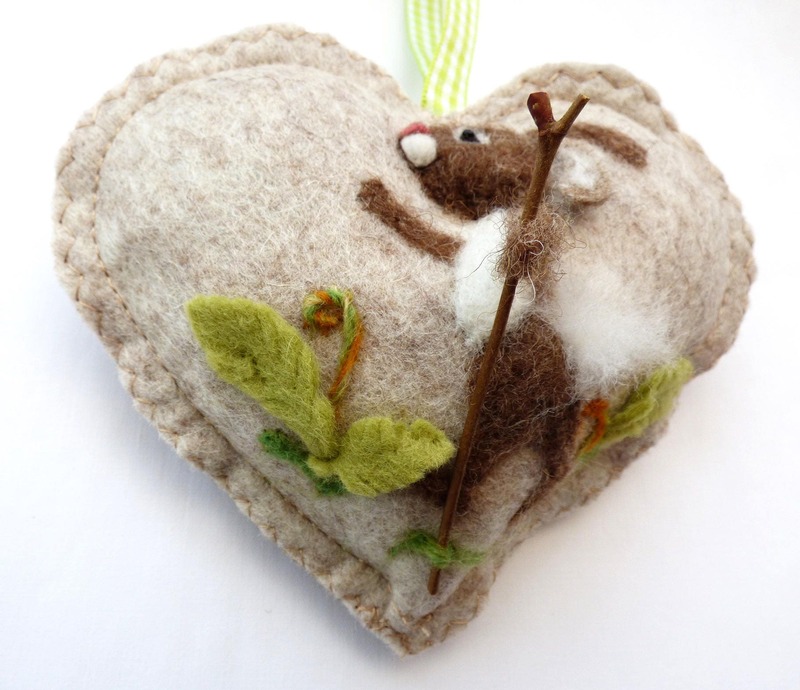 The base fabric of the heart is also wool. If you would prefer another animal walking just drop me a message. 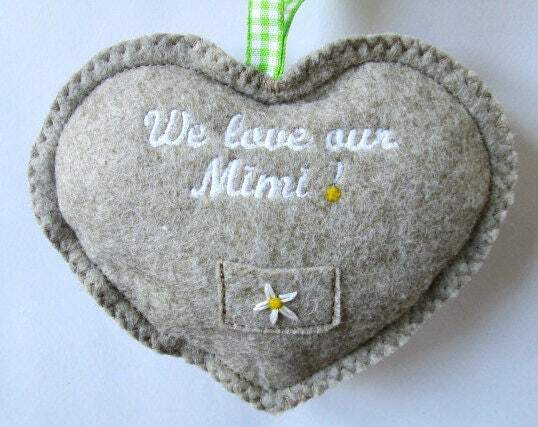 I can embroider a name, date, short message of choice on the back of the heart to make it a very special gift. Otherwise I sew a pocket on the back of the heart with a small notlet for messages and good wishes. This heart can be scented with either lavender, winter spices or left scentless, just message me with your preference. The design is needle felted with Somerset and Scottish wool and the piglet is in full relief. The ear, arm and cheek being 3D. Piglet enjoys being dangled from any handle or peg around the house.